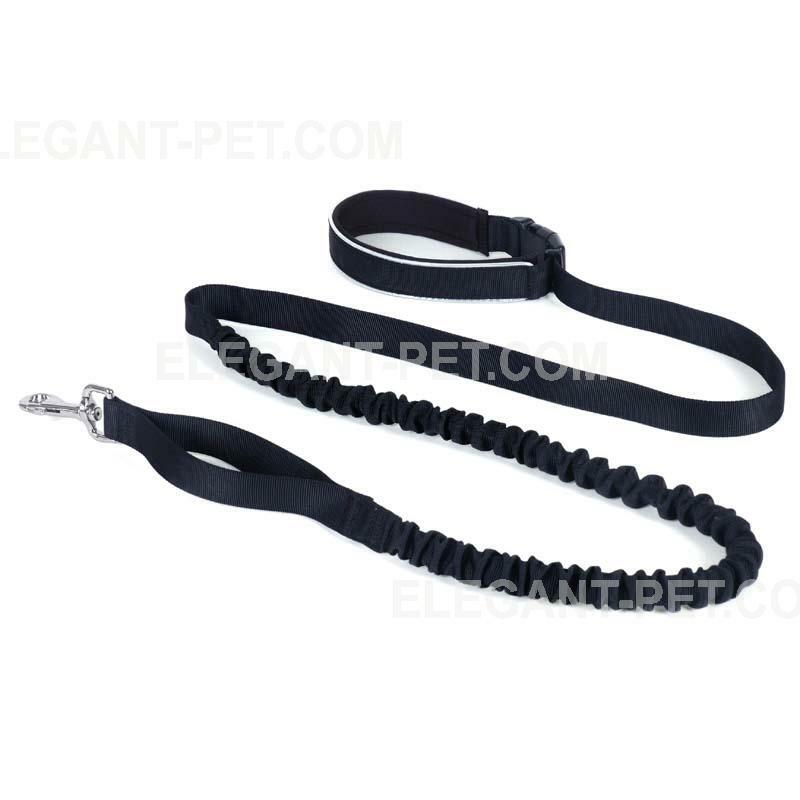 Nylon leash with integrated elastic band, sudden pulls by dog are cushioned, prevent damage to joints and spine for dog master and animal. 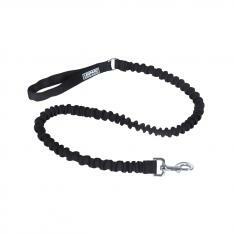 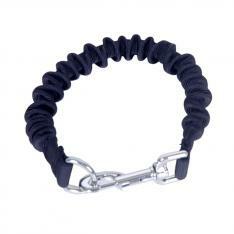 Made with sturdy 1-inch (25 mm) tubular nylon webbing and strong elastic core. 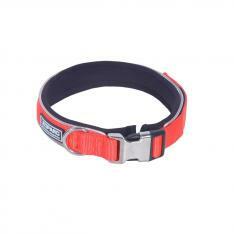 Reflective piping of handle for improved visibility at night.